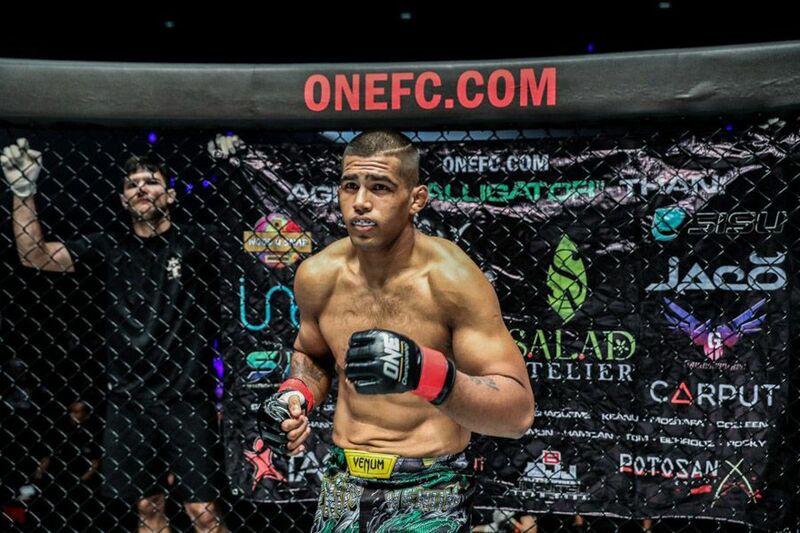 At 23 years of age, Agilan Thani has grown up competing on one of the biggest stages in all of mixed martial arts for ONE Championship. 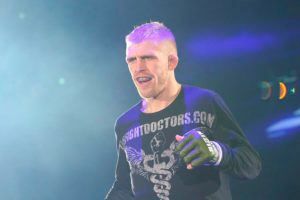 In only his seventh pro fight, Thani was facing off with former ONE welterweight champion Ben Askren. While he suffered a loss that night, it was a valuable lesson learned for his career going forward. 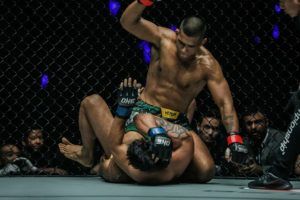 Thani didn’t suffer another defeat until his most recent fight against Zebaztian Kadestam, who then went on to win the vacant ONE welterweight championship just a couple of weeks ago. 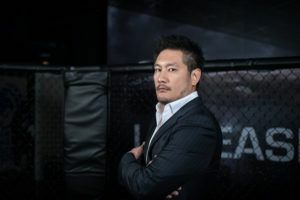 As disappointing as that loss was for him, Thani says he learned a lot about himself that night and it will only make him a better fighter going forward. “I learned quite a lot. I can only say one thing for sure, I was there 100% and Kadestam beat me fair and square,” Thani said ahead of his next contest at ONE: ‘Destiny of Champions’. 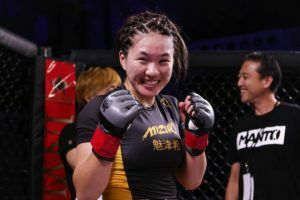 “I learned that I have to be patient with what I do in the cage. Not rush things and prepare 100% for a big fight. 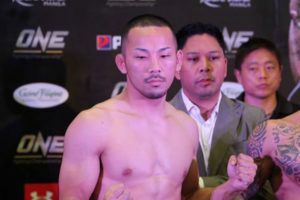 To get back on track, Thani faces Kyrgyzstan native Kiamrian Abbasov this Friday in the co-main event from his native Malaysia. 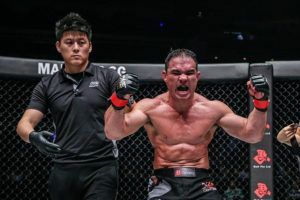 Abbasov only has a single fight in ONE Championship, a lopsided defeat to former title contender Luis ‘Sapo’ Santos, but overall holds a 18-4 record in his career. 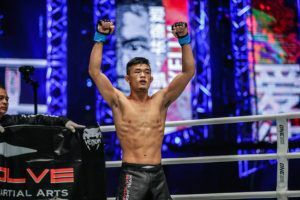 While Thani admits he hasn’t seen that much of Abbasov outside of his lone appearance in ONE Championship, he saw a lot of flaws in his game that he hopes to expose when they clash this weekend. Thani has faced those kinds of wild opponents in the past, most recently when he took on Amitesh Chaubey back in March. On that night, Chaubey was all over the place with his striking combinations while constantly taunting Thani, attempting to goad him into a stand up war. Thani didn’t bite and ended up submitting Chaubey in the second round with a Kimura. Thani believes a similar fate could await Abbasov when they meet. “I think the same thing I’ve got to do with Kiamrian. 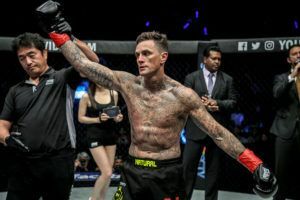 Just be calm and patient, although I feel he will try to take me down because most of his other fights come from ground finishes or submissions,” Thani said. A win over Abbasov serves multiple goals when it comes to Thani’s career. 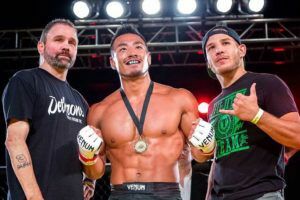 Immediately, Thani would have the chance to once again celebrate a victory in front of a home audience, which is always an electrifying moment for him. More importantly, Thani knows beating Abbasov gets him back into the win column and puts him on course to hopefully challenge for the welterweight title in 2019. 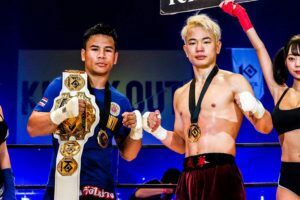 With a new champion finally crowned in Kadestam, the rest of the welterweights finally have something to fight for again and he’s anxious for a chance at redemption as well as an opportunity to wrap that ONE Championship belt around his waist.